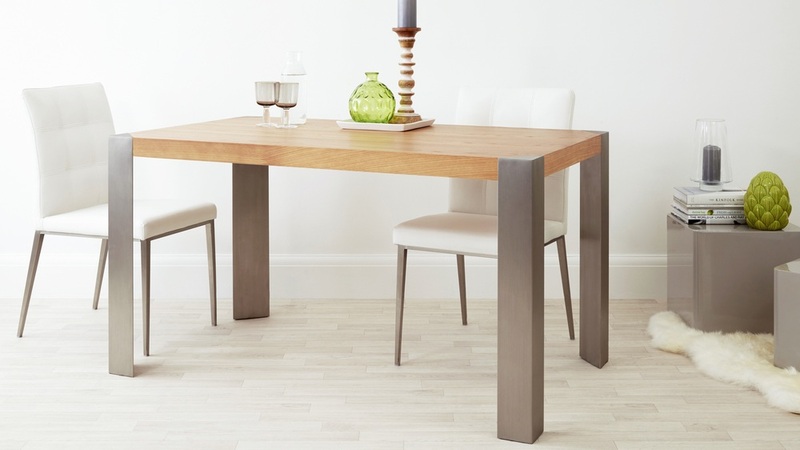 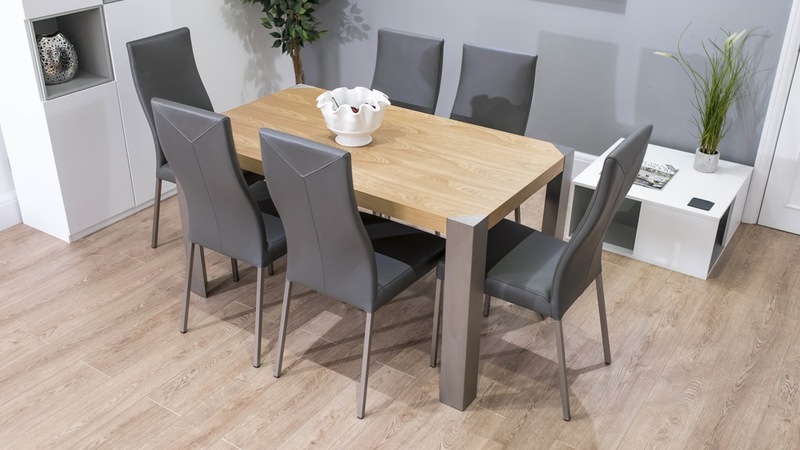 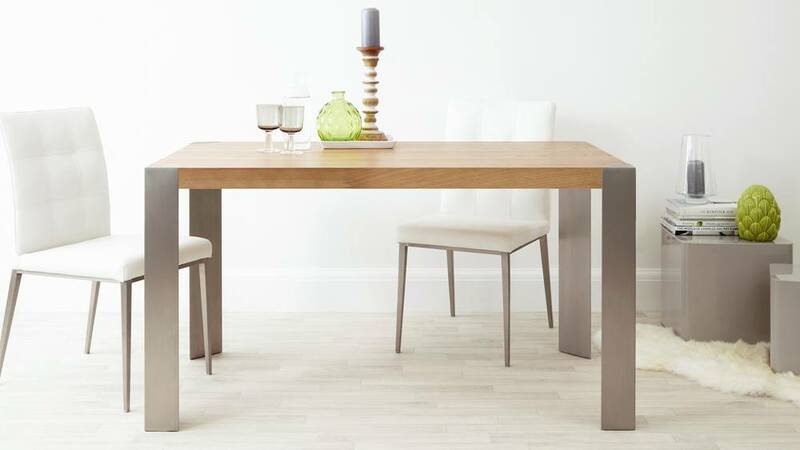 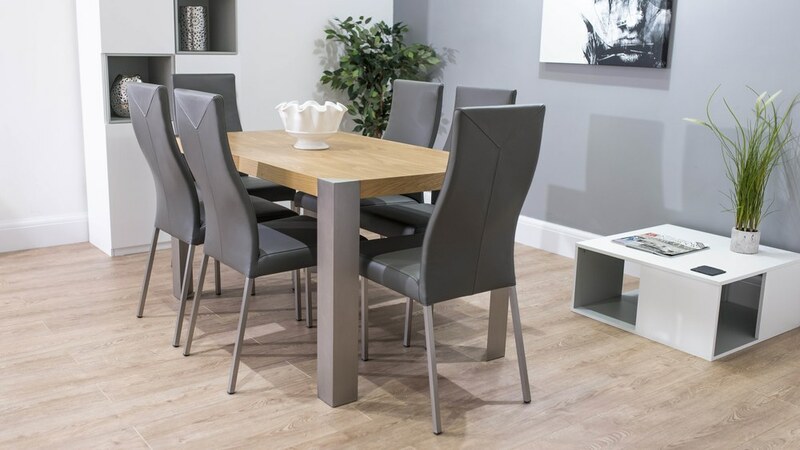 The Angola Modern Oak Dining table is a beautiful, contemporary top quality oak veneered dining table which is perfect for 4 to 6 people. 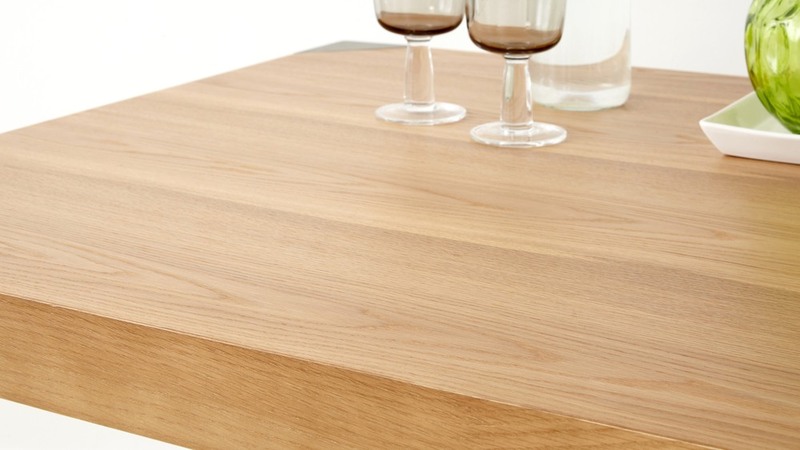 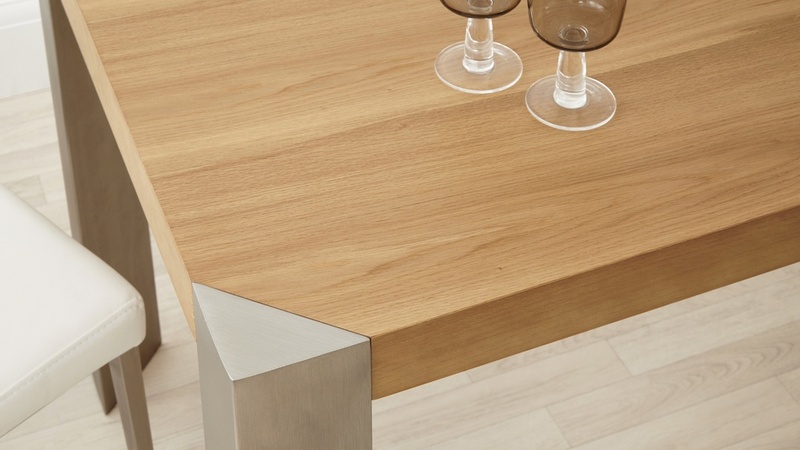 It has a funky minimalistic design with sharp, smooth straight lines that make it stand out from the huge array of oak tables on the market. 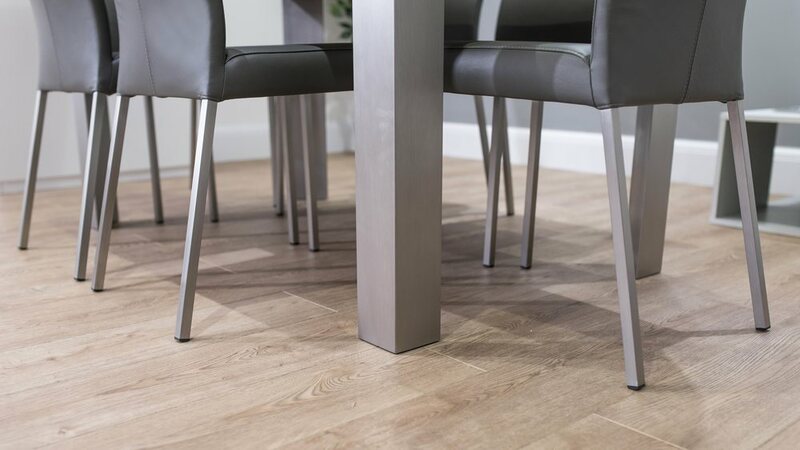 The rich oak veneer is enhanced beautifully by the brushed steel frame and legs, which in turn create triangular corner insets to give a funky, modern twist. 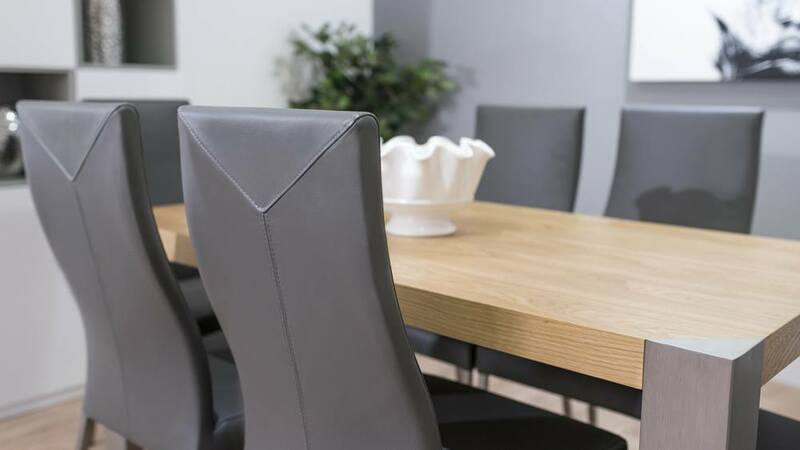 The matching Iva Real Leather Dining Chairs are so elegant with their slender, shapely backs and well padded comfortable seats. 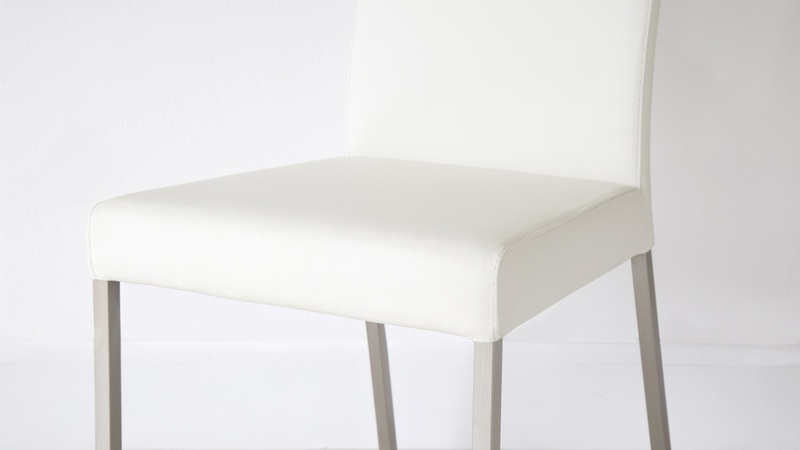 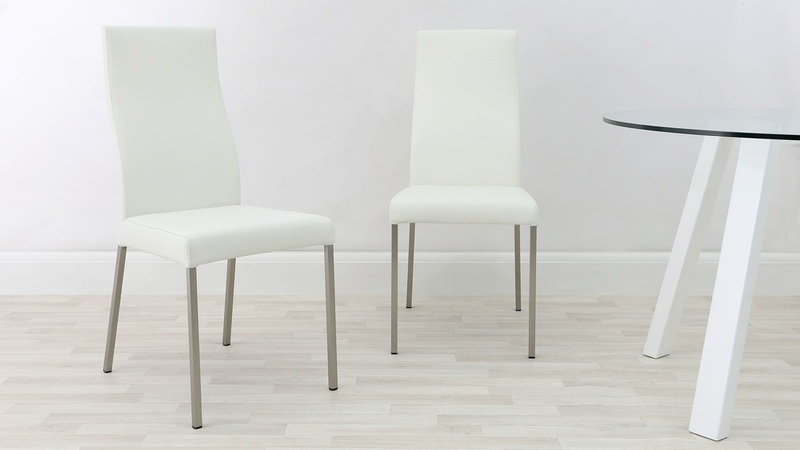 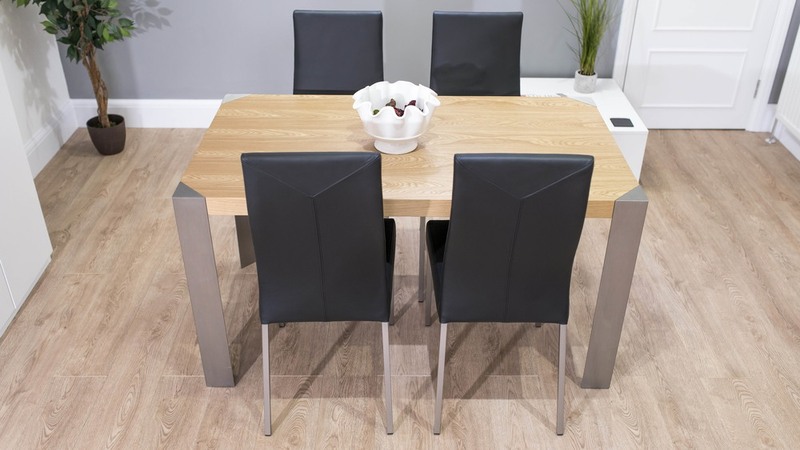 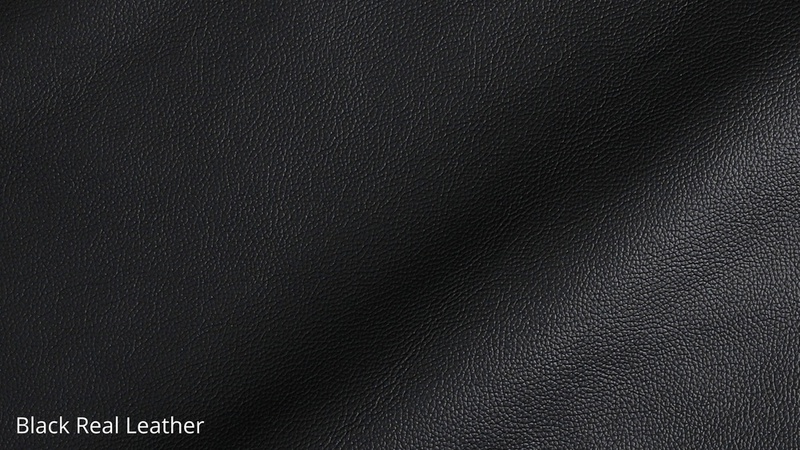 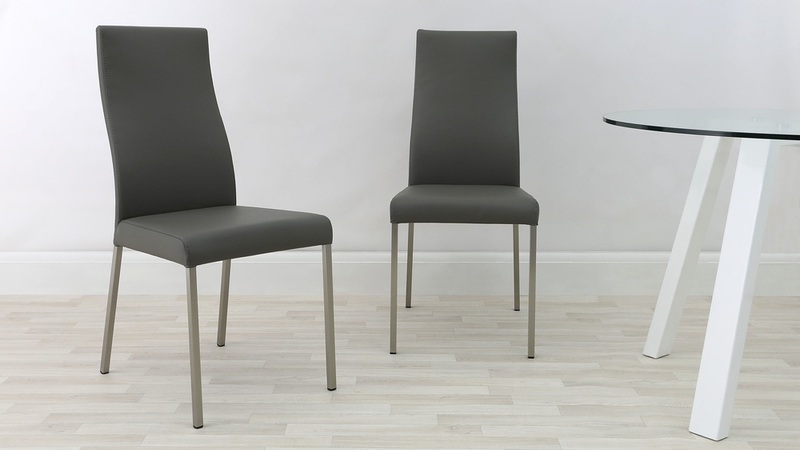 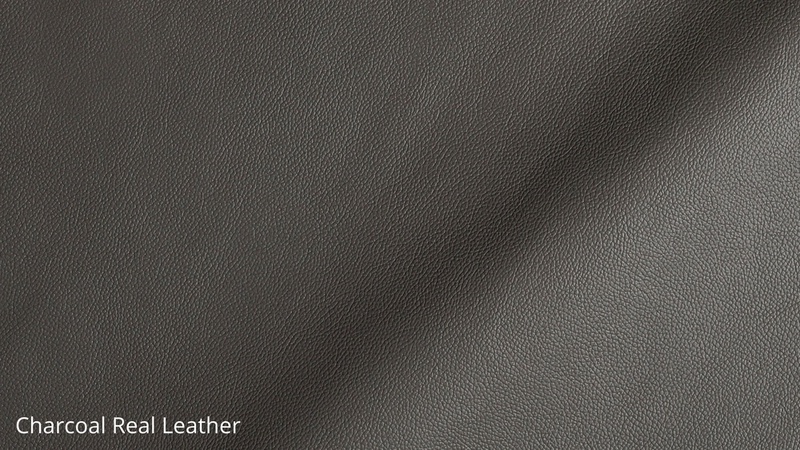 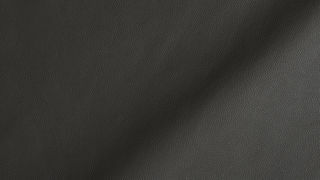 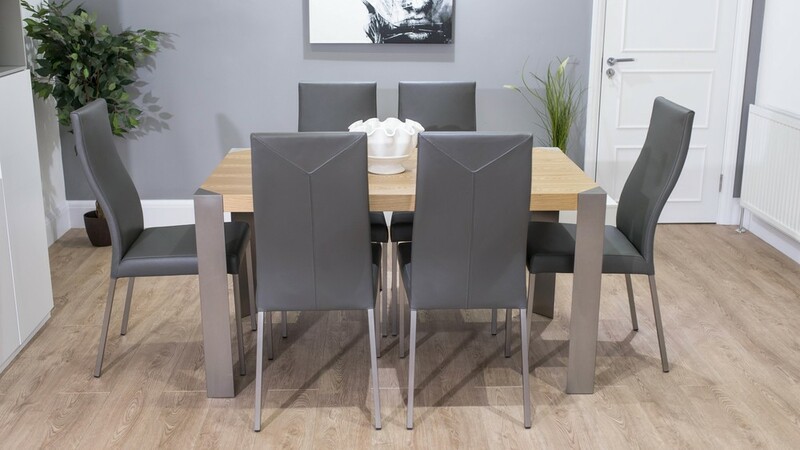 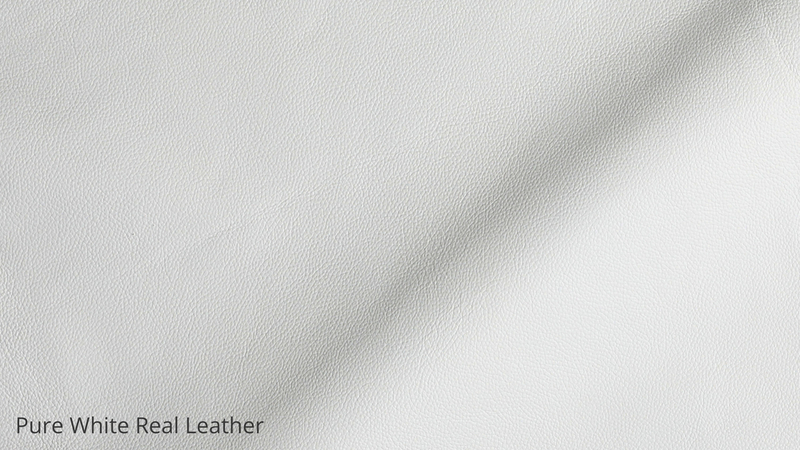 These modern, designer genuine leather dining chairs are available in classic Black, Pure White or Charcoal Grey in lovely supple, soft leather which not only looks and feels amazing, it is also incredibly hardwearing too. 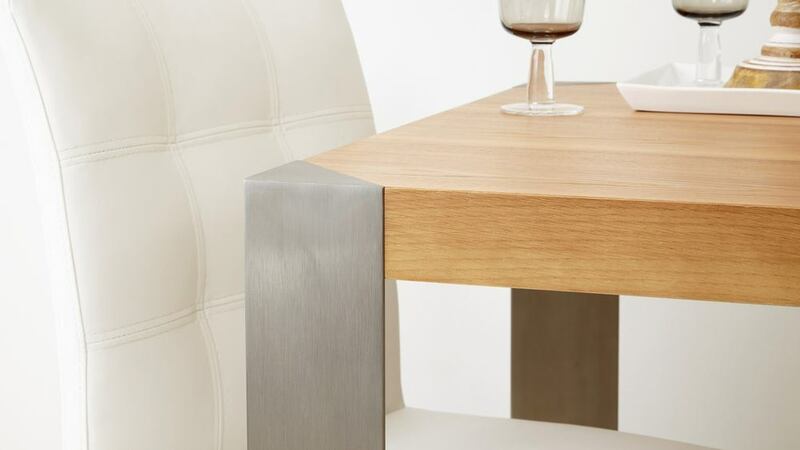 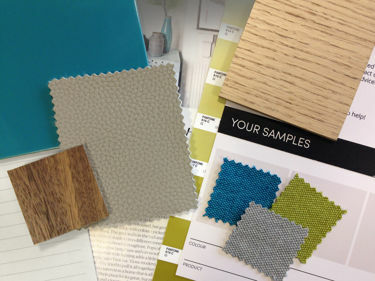 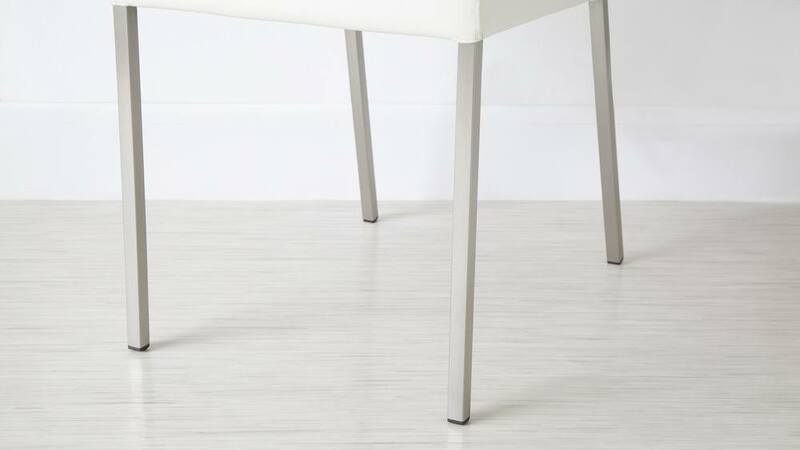 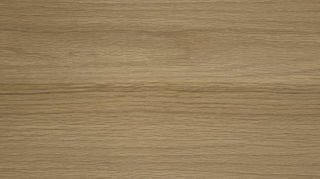 They also have squared, brushed metal legs to match the Angola Table. 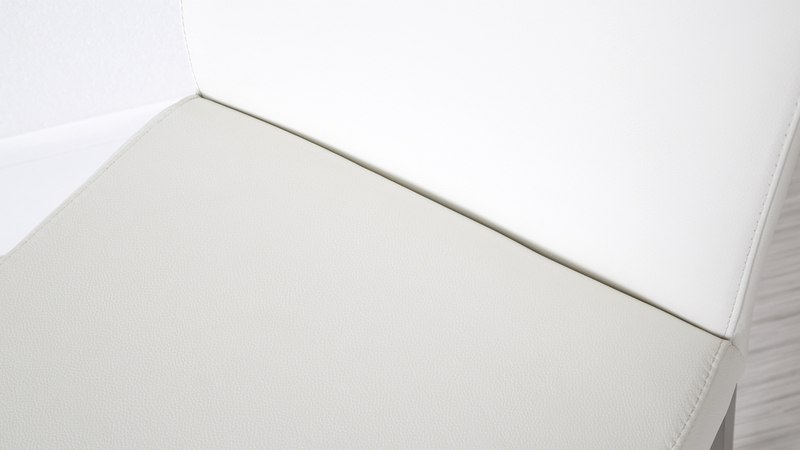 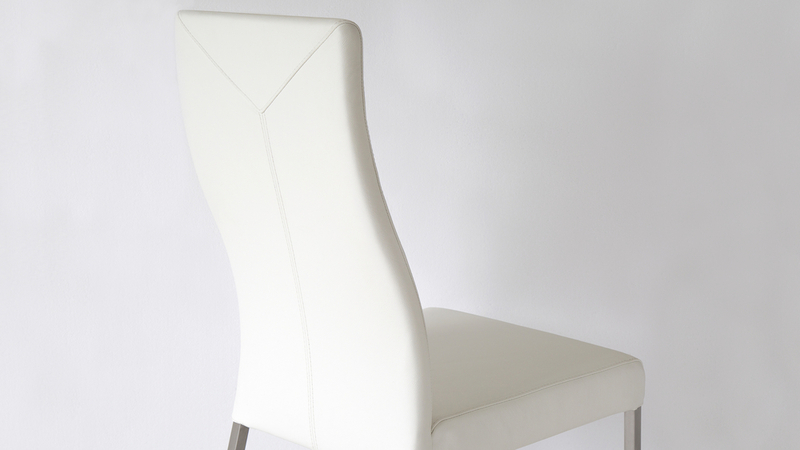 The reverse of each chair has eye-catching stitched detail too.